I sat in on a webinar this afternoon and was really impressed with the different capabilities within SQL Enterprise. I always sold SQL based off virtualization needs. What a goof. Although important, there are several other factors that go into licensing SQL Enterprise as to Standard or Web. Let’s first break the different components down to better understand the differences. SQL Web – Basic SKU. Designed for hosting web apps and websites. Many hosting providers try to license SQL Web to support line of business applications. (which you cannot do by the way) Think of line of business applications as applications to run your business. (very poetic by the way). SQL Standard – The most common reported SKU in SPLA but also the one that gets service providers in trouble; especially as it pertains to virtualization and mobility within server farms. Offers some high availability, although not as complete as Enterprise. Database size is also an issue as it only supports up to 64GB. Sounds like a lot, but ask a SQL admin how much that really is. Newer editions offer mobility rights, and can be licensed on a per VM basis. Not a bad thing. SQL Enterprise – Ahh…SQL Enterprise. This cost a lot doesn’t it? Man, how can someone afford this month end and month out? Ask your reseller what’s the difference between Enterprise and Standard and the first thing they will say is virtualization. (that’s what I did too for the record) Although true, there’s more to this than just virtualization. For starters, the size alone is more than Standard. (See chart below). High availability with Enterprise is truly high availability. It’s always on (Failover cluster instances and availability groups). Although costs seem high, if data is lost, how much will that cost you? SQL BI – The in between SKU, meaning its similar to Standard, but not as robust as Enterprise. In the SPLA world, it is licensed by user only. This “Jan Brady” of SQL has…..you guessed it….BI features. This SKU is very rarely reported. If I had to guess, she will be merged or have licensing changes with future releases. No basis or knowledge, just an educated guess. You can see (kind of unclearly) that scale and performance outweighs everything else. “Scale and Performance” means data compression, table partitioning, etc. Over 23% say HA/DR is the most important feature. (always on). I like to listen to these guys (ISV’s) since their business (their application) is only as good as the technology it resides on. If they rely on a certain product over the other, I would like to better understand…why? From the chart, it’s no surprise that performance ranks #1. Imagine if performance was bad? How good will their application look then? So if they trust SQL Enterprise based off performance and HA…maybe you should give it a second glance. 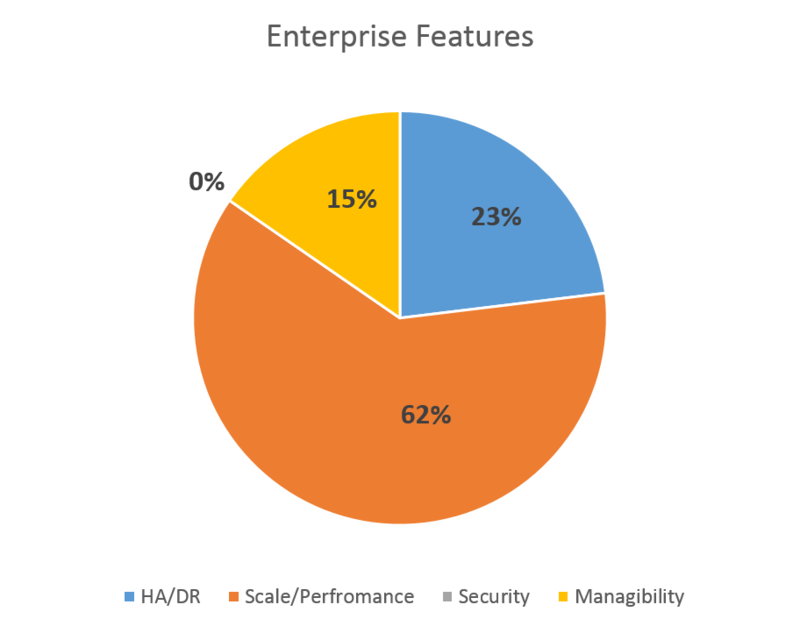 From Microsoft, here’s the top 10 reasons hoster’s should consider Enterprise. Oddly enough, virtualization wasn’t one of them. Here are some good links on the topic below. Feel free to check out. “What’s the least favorite licensing topic at Microsoft?” If you answered SQL, you would probably be correct. It’s not overly complex, but can be very confusing; especially as it pertains to virtualization. To add to the confusion, Microsoft changed the licensing terms with the release of SQL 2012 and discontinued several products altogether. For service providers, this confusion can escalate to over/under licensing and ultimately compliance risk. Here’s a list of common mistakes service providers make with licensing SQL. 1. They have Vmotion set up in which virtual machines are moving from host to host simultaneously. Be careful! Check out license mobility rights in the SPUR and read my previous blog license mobility Virtual Machines can move from host to host but it cannot be active on two separate hosts at the same time. 2. They have a customer bring SQL into their environment (end customer owns SQL via a separate volume licensing agreement) and the service provider dedicates the virtual machine to the customer but not the physical hardware (hardware is shared). The end customer would need to have software assurance for SQL in order to take advantage of license mobility and the service provider would need to report Windows under SPLA. This is called License Mobility with Software Assurance. 4. They license (1) 2 core pack of SQL 2012. The minimum you need to license/report is (2) 2 core packs or 4 cores per processor. Under no circumstance can you report only two cores. 5. They don’t report SQL at all. I hear this all the time. “My customer does not directly access SQL and therefore I do not need to report it.” Wrong. If customers indirectly access any application it must be licensed. Ask yourself, “If I remove this product from my hosted solution, would it still work the same?” If you answer “no’ it needs a SPLA license. 6. Report SQL Web to support a line of business application. SQL Web is designed for websites/web applications, not line of business applications. Just thought I would try to answer common questions around SQL. Hope this was helpful.